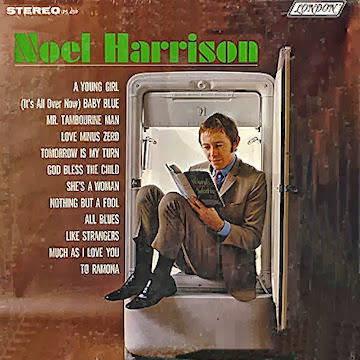 There was a time in the 1960s -- around the time he charted with "Suzanne," his affecting cover of Leonard Cohen's haunting ballad, and "The Windmills of Your Mind," the Oscar-winning theme of The Thomas Crown Affair -- when it looked like Noel Harrison was set for a lengthy stretch of pop-music stardom. Around that same time, when he fleetingly enjoyed prime-time exposure as co-star of The Girl from U.N.C.L.E., Harrison also appeared well-equipped to find frequent employment in movies and TV as a light-comic leading man. It can't be said that he fulfilled his early promise. On the other hand, there are those of us who will always remember him warmly for what he did accomplish before his death Saturday at age 79.